Laptop Battery Not Charging problem repair in Hyderabad and Secunderabad. 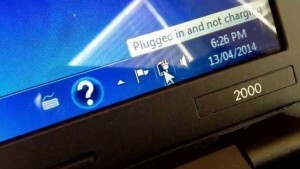 Notebook Plugged In But Not Charging. Facing power off problems due to short battery life? We at laptop repair world replace your laptop battery instead of buying a new one. We provide 100% money back guarantee to our service. We have a specialized technicians to solve your laptop and notepad laptop battery not charging issues for all brands. We render a quick and on-time delivery to all our customers. We always provide quality service with genuine spare parts. We aim for customer satisfaction and quality is our main motto. You can always claim for a 100% money back guarantee if you overcome any issues or laptop battery problems within one year of your service. We also provide manufacturing warranty to the spare parts that are repaired. The service charges for laptop battery and all another services are cheap and best price with us. There is no additional fee or hidden charges for the service or repair provided. Special discounts are provided for the regular customer and hot deals of the day can be claimed. We have a team of specialized technicians to perform component level repairing which saves lot of time and money to our valuable customers. We render special discounts for individual and bulk orders from organizations and school students. We have an experience of 20 years of service and one among the best service centres in the city.